With virtually limitless options of wedding rentals, deciding what items you need for your big day can be overwhelming. 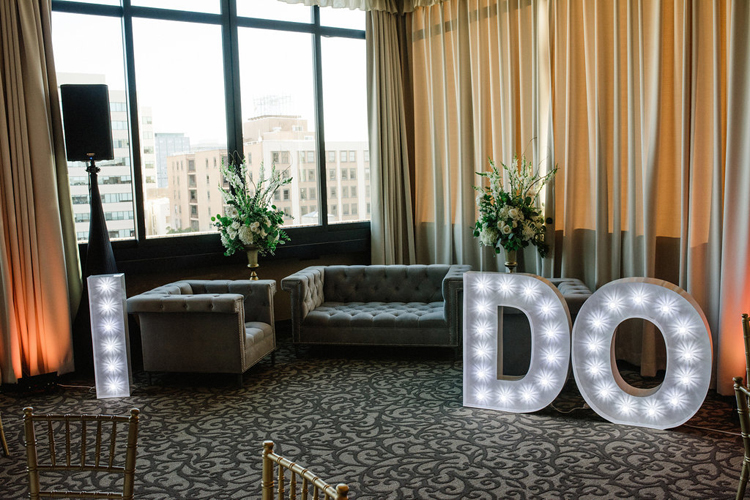 Here we break down all the event rentals you may need for your wedding, from ceremony all the way to the end of the reception. 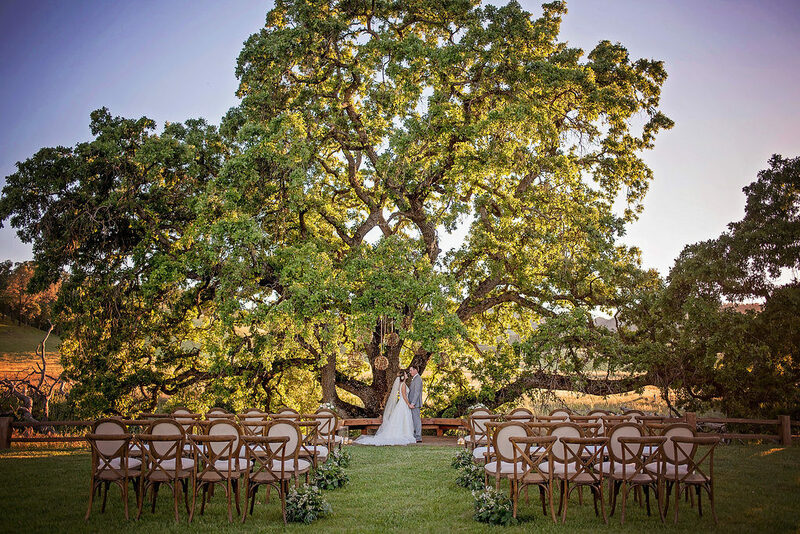 At the bare minimum, you will need some form of guest seating for your ceremony. Your wedding style (and budget) will determine if you opt for chairs, benches, sofas, or any combination of those. Depending on the size of your guest list, chairs are generally the most cost-efficient option. And since almost every rental company has a considerable inventory of chairs, be on the lookout for sales and offers at your local company. Since you know you’ll need them, it doesn’t hurt to reserve your chairs well in advance if it means locking in a great deal. 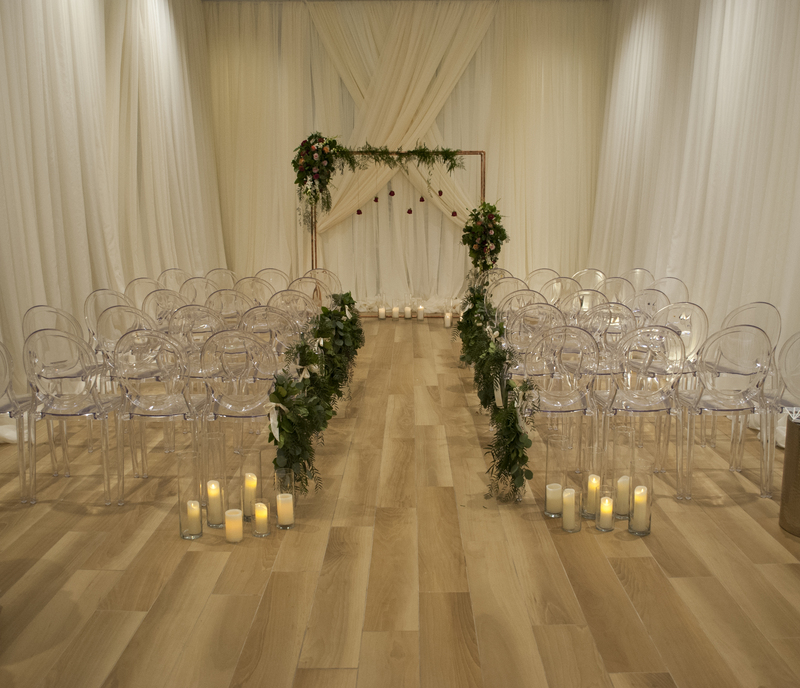 The next step to creating your perfect ceremony space is décor. From a wedding arch to an aisle runner, decide what’s important to you and what you have room for in your budget. 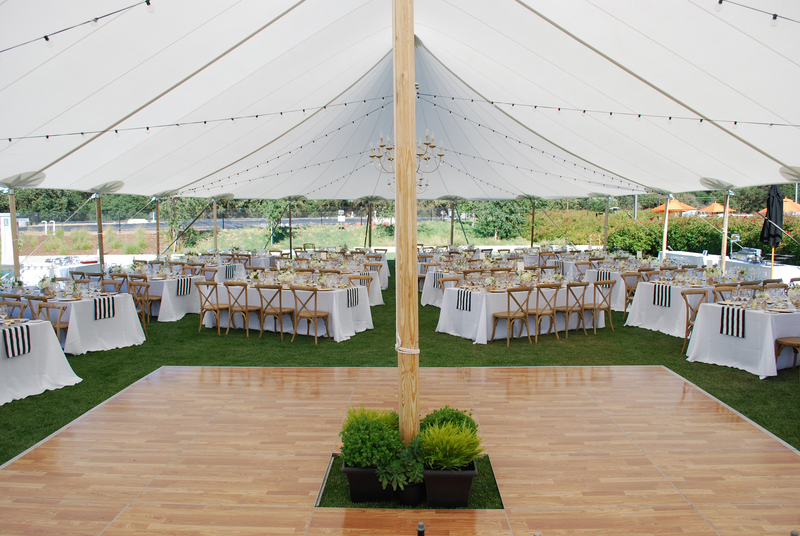 It’s also important to consider the features of your ceremony venue to determine what decor you might need. For an outdoor ceremony, you can try draping sheer fabric over tree branches for a makeshift arch and lining the aisle with lanterns or bunches of flowers. For an indoor ceremony, you can experiment with hanging decor (fabric swagging, string lights, lanterns, or chandeliers) and a variety of backdrops in place of a traditional arch. If you plan on doing a unity ceremony of some type, consider what you’ll need for that, whether that means an extra table, a single standing-height table, or a wine barrel for a rustic look. As soon as the ceremony ends, your guests will likely start looking for where they can get a drink. Whether that means water and lemonade, wine and beer, or a full bar, make sure there’s a station where guests can go for a beverage. 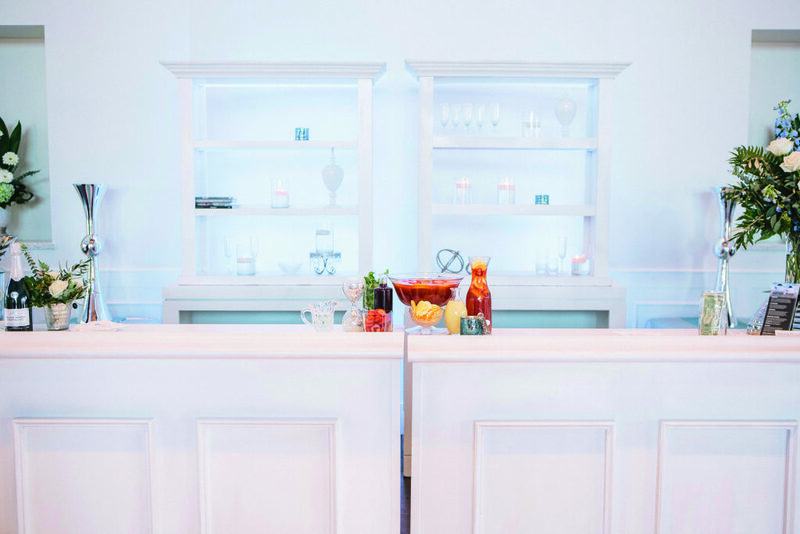 A bar with a bar-back offers the most space for a bartender to work, while glass beverage dispensers and buckets full of ice are perfect for a self-serve bar. Adequate signage will also help direct guests in the right direction and let them know what their beverage options are for the night. Providing a space for guests to set down their drinks or have a seat will be appreciated as well, especially if the cocktail hour includes appetizers or is planned to last the full hour or longer. 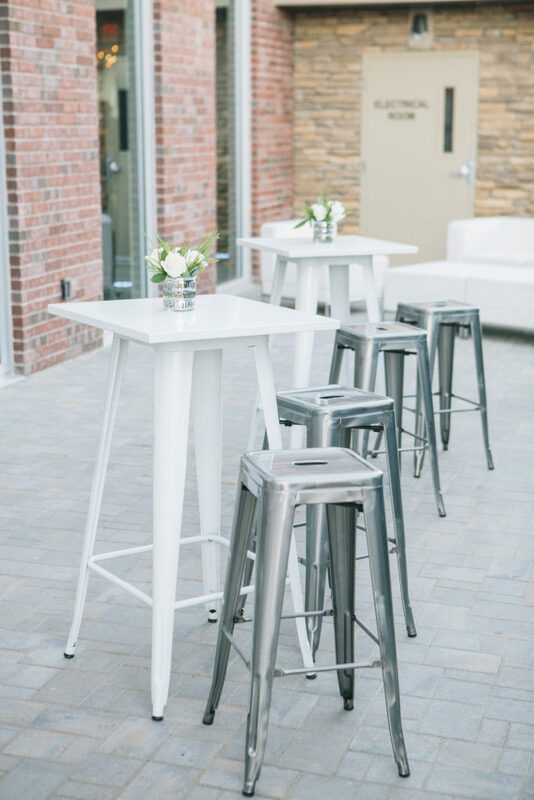 Plus, with so many available styles and options, a couple cocktail tables with barstools can add a lot of flair to the reception area. Your dining tables are likely where you will find most of your rental items. You’ll need to start making decisions on what items you need, including tables, chairs, linens, napkins, chargers, plates, glassware, and flatware. This is also when your personal style and budget is a big consideration. 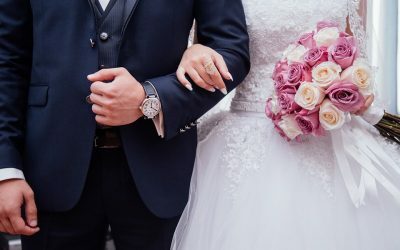 It can be difficult to pin down what look you and your partner want for your wedding, but luckily there are tools to help. Pinterest is a great starting place to find the style you like or check your local rental company’s social media for some completed looks to inspire you. 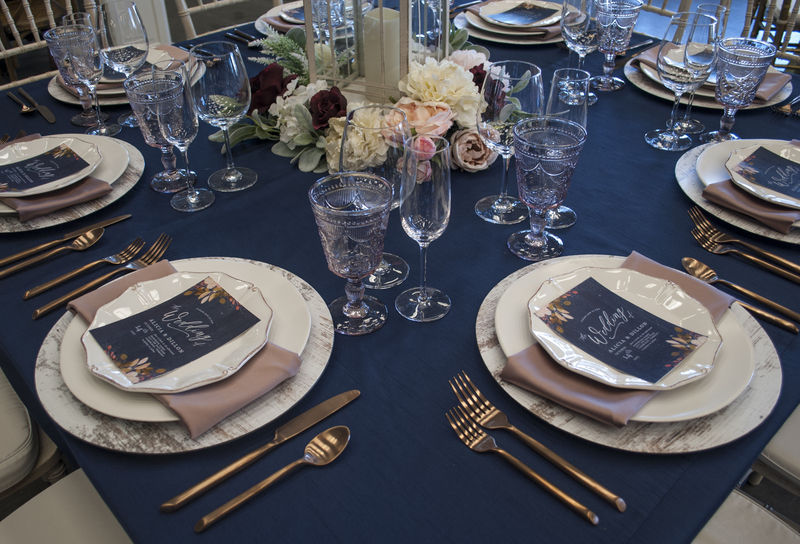 Some companies will even have online table planning tools or reserved space inside their showrooms where you can experiment with different looks until you find the one that’s perfect for your big day. 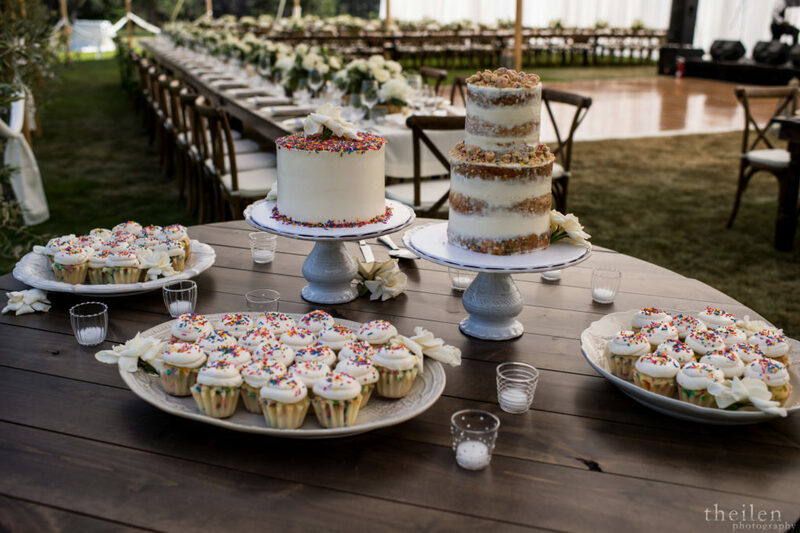 While it seems obvious, it is easy to forget to add an extra table to your rental order for your cake or dessert table. If you’re cutting a traditional wedding cake, a cake stand will elevate it off the table and create a clear focal point. 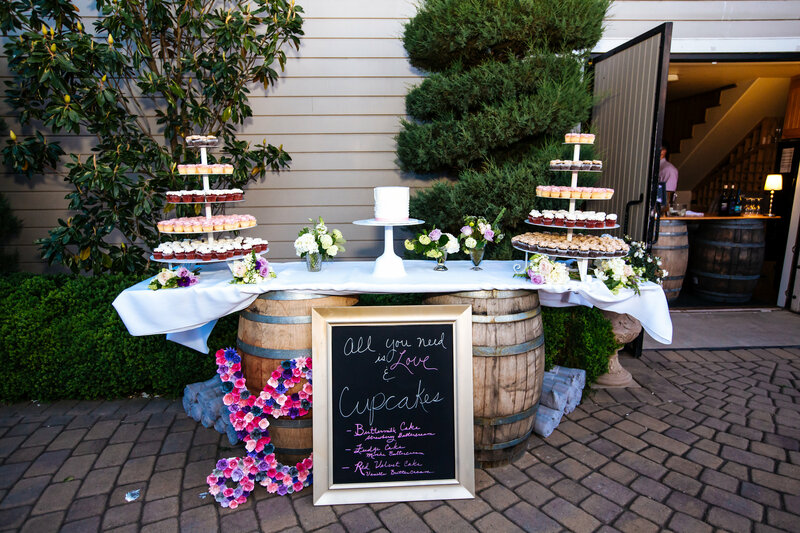 You can also rent special stands for cupcakes or tiered trays for other single-serving desserts. For the more unique dessert options (like ice cream sundaes, candy bars, popcorn mixers, or dessert waffles), you may need several smaller containers for treats or toppings. Your local rental company should have a wide variety of different trays, bowls, jars, and ramekins. Make sure to check out all your options until you find the items that you need and that fit your style. While after-dinner activities vary from wedding to wedding, some classic staples include toasts, dancing, a bouquet toss, and a garter toss. Once you decide which activities you plan to include in your reception, consider what extra rentals you might need for them. Dancing is a very common after-dinner activity, and a dance floor may be a necessity at your venue, not to mention a beautiful statement piece. You may also need a sound system with a microphone for toasts, or an extra chair on standby for the garter toss. 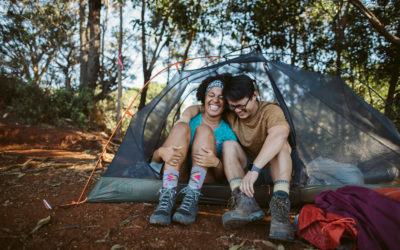 It can be easy to forget these extras, so it’s helpful to go through a timeline of the evening with an eye out for any rental items you will need. Reception lounge areas are becoming an increasingly popular way to invite your guests to stay a while. They offer a much more comfortable space for people to sit and chat well into the night. 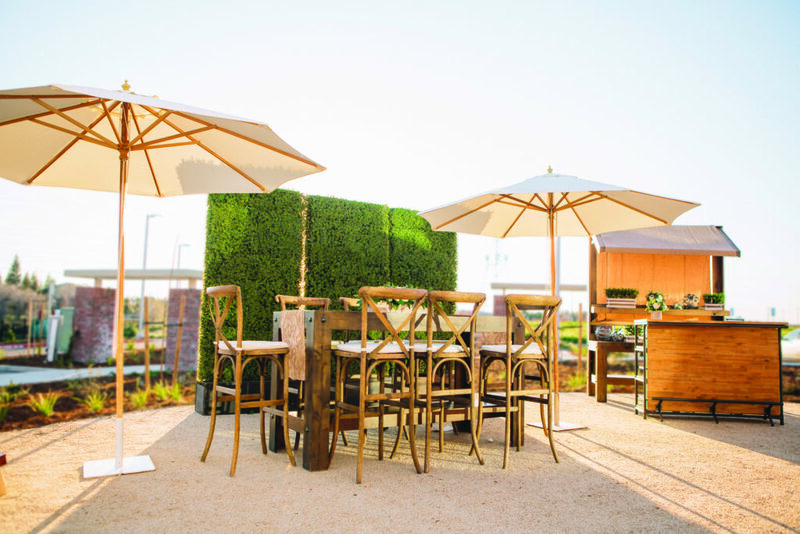 For an outdoor reception, fire pits and patio heaters can provide heat if the night gets chilly, while market umbrellas can offer some shade against a sunny day. Indoors, a lounge area can turn an ordinary corner into a cozy oasis where good conversation flows all night long! 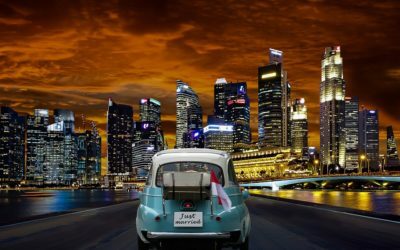 Make your wedding dreams a reality with a Honeyfund honeymoon registry. Bio: Celebrations! Party Rentals and Tents is a full-service event rental, linen rental, and tent rental company, primarily serving California and Nevada since 1991. As a leader in our field, we realize that our products are only as good as the people behind them. Our high level of service extends to all of our departments, including administration, warehouse, delivery, and installation. As your rental provider, we strive to help you create a memorable and successful event by focusing on selection, style, customer service, and satisfaction. 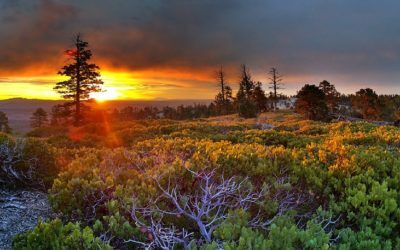 Visit us online at www.CelebrationsPartyRentals.com or give us a call at 916-773-2133.